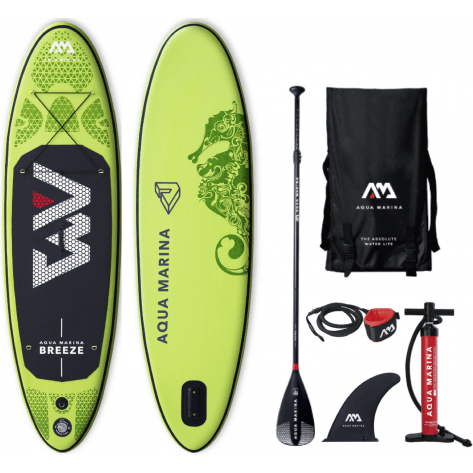 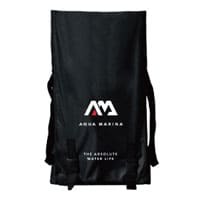 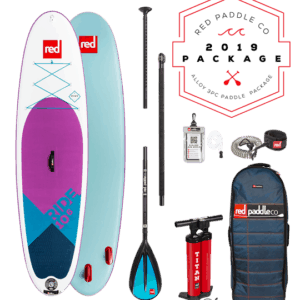 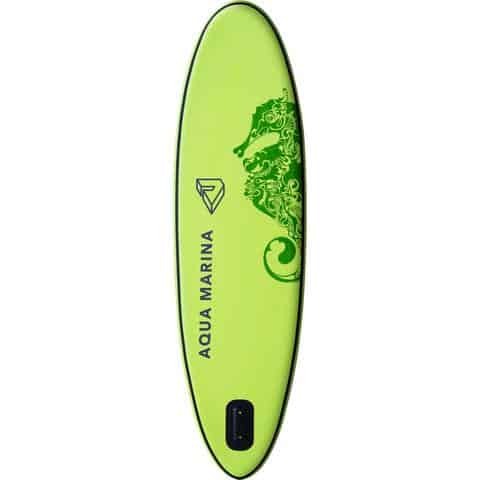 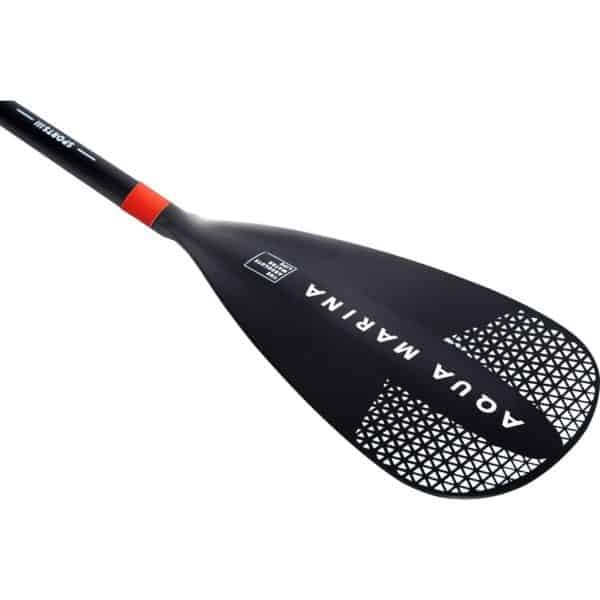 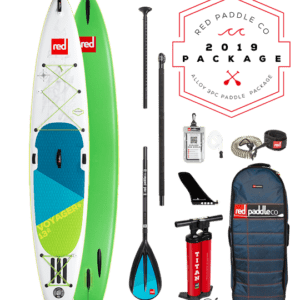 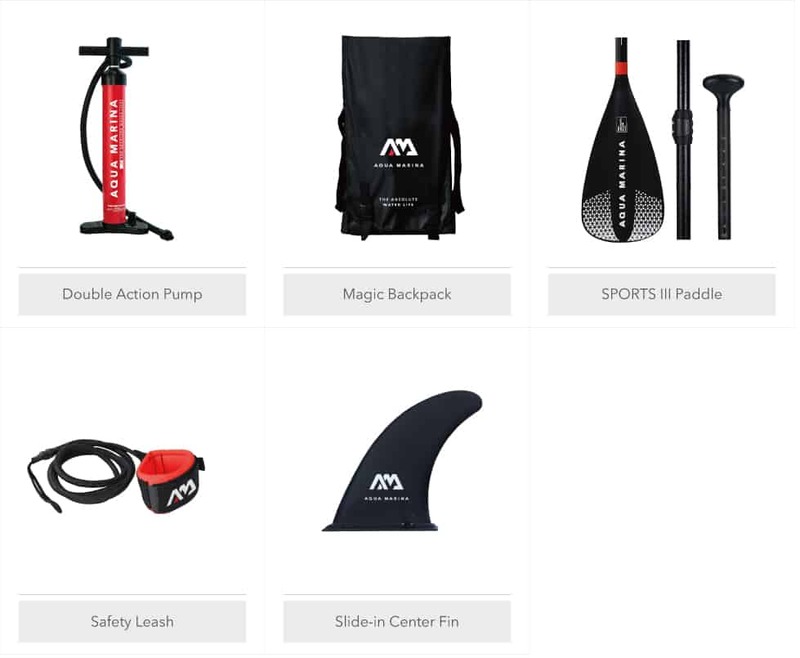 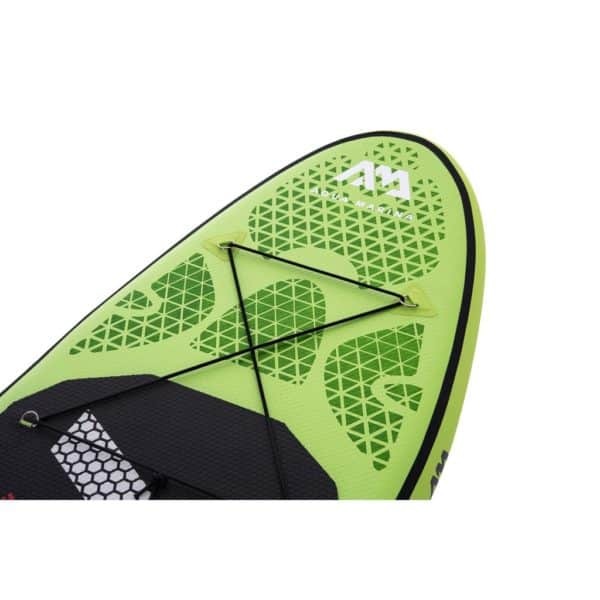 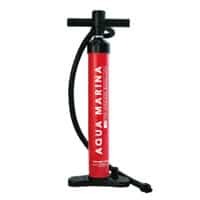 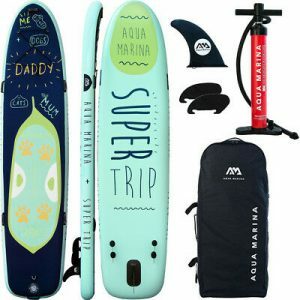 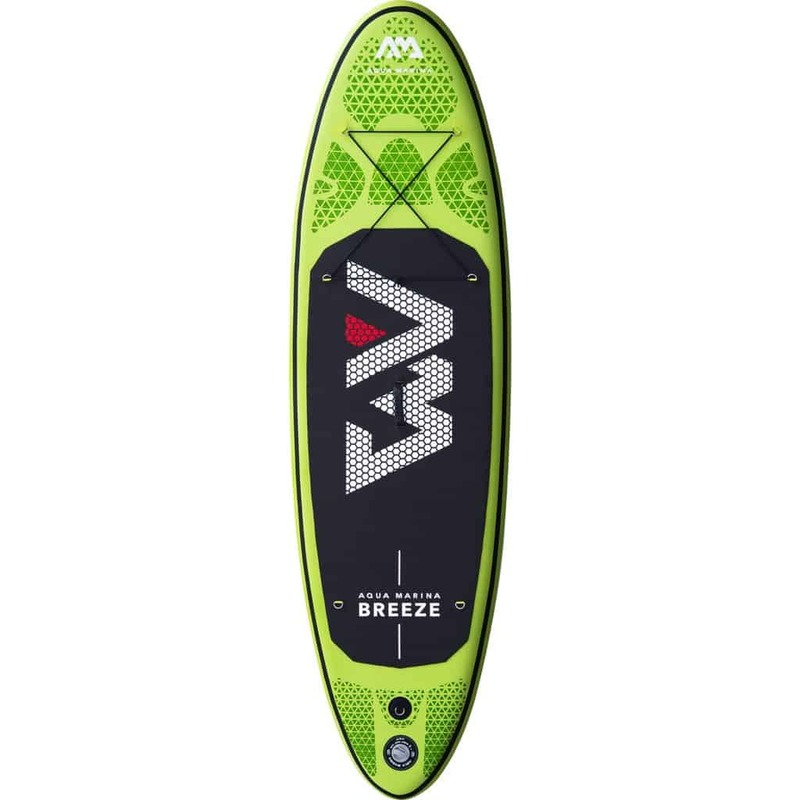 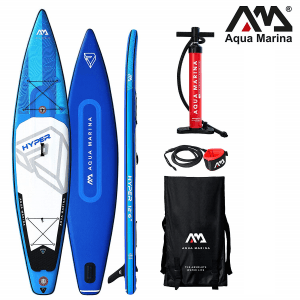 Aqua Marina Sports III paddle is included among other accessories listed below. 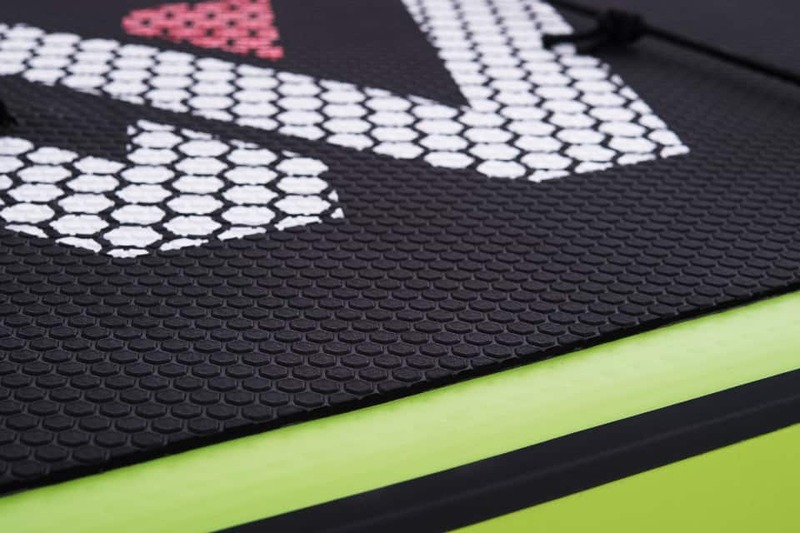 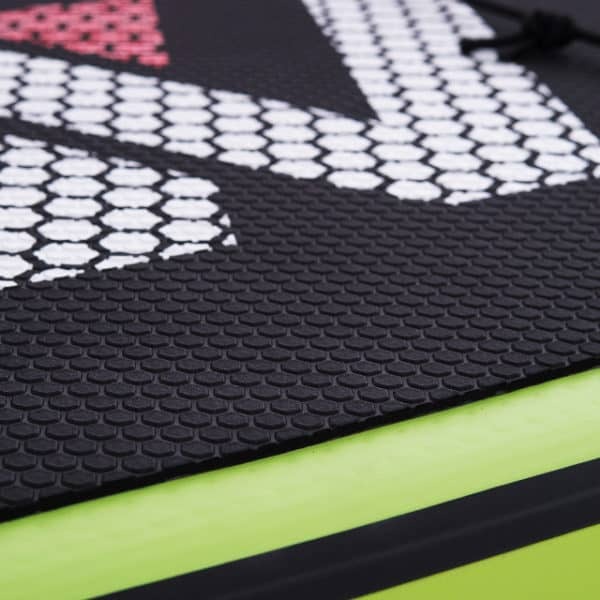 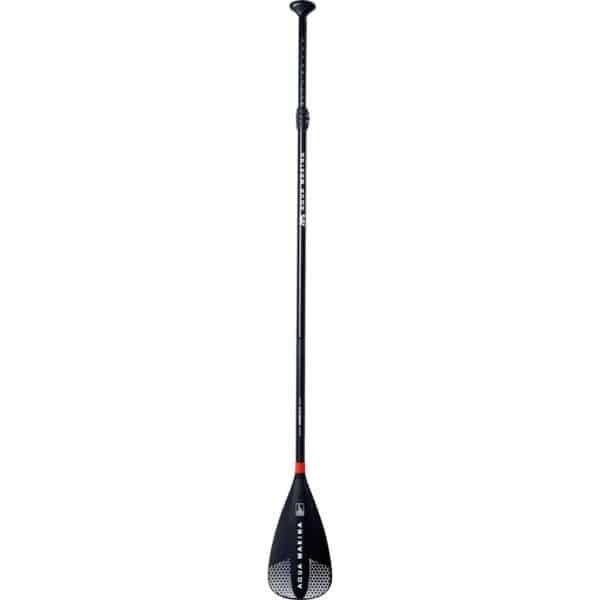 It’s a 3-piece paddle adjustable to lengths between 165cm and 210 cm. 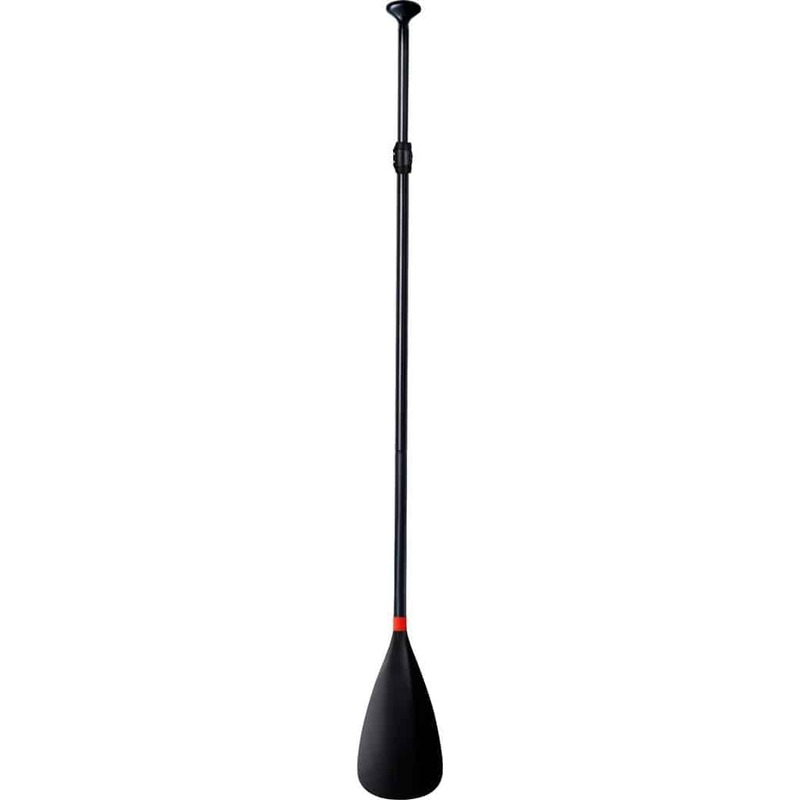 The shaft is made of 1mm aluminium. 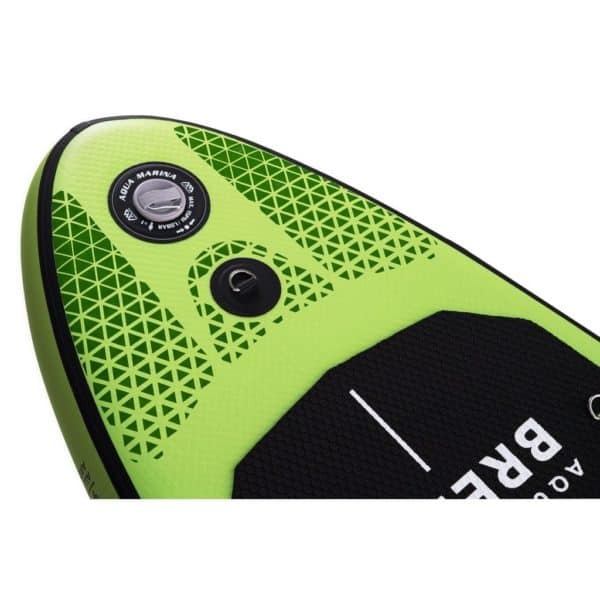 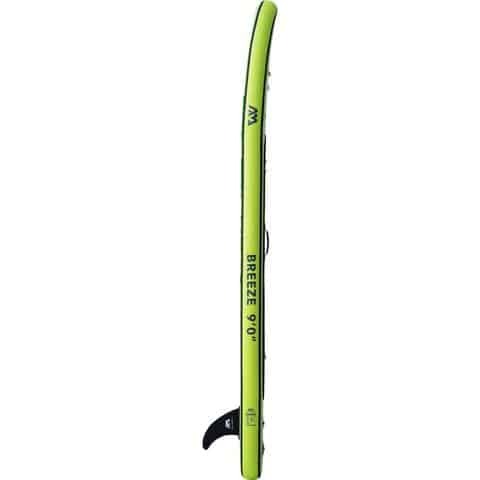 Blade – 70% nylon and 30% fiberglass.